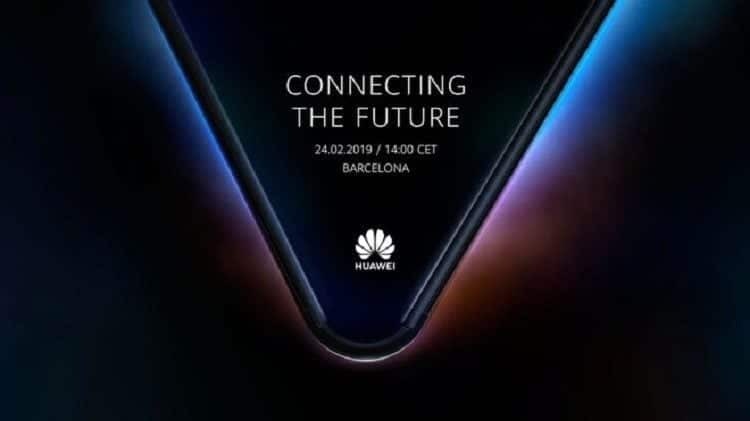 Home News Mobile On February 24th, will Huawei also present its foldable smartphone? Not just Samsung: February could be the month of the launch of the first smartphone folding even at home Huawei. For the rumors that have been circulating for several weeks, a poster has been added in which the Asian producer will meet in Barcelona on February 24th. “Connecting the future” is the claim that appears and could refer to a “connection” between the two displays that are perceived in the image. A hinge in the middle is clearly visible, as is the halo of light around the two external surfaces. In short, it is certainly a foldable device even if it is said that it must necessarily be a smartphone. In any case, Huawei will certainly not be praying to be a protagonist in a new niche that could then “explode” totally in the coming months. A few hours ago (and maybe not a coincidence) we showed you the first official video in which Samsung Galaxy F appears (click here to find out more), the folding smartphone that the Korean company should present on February 20th. Nor is it a coincidence that the Huawei event was placed on February 24th, on the eve of the Mobile World Congress. In short, at the Catalan show, the Chinese company will still arrive with an innovative device, we’ll see which one.